Here is a complete list of monsters and hazards from the module, in alphabetical order. I figured this post would be useful, since I separated monsters into tons of categories to make conversion easier. So, here’s a handy list of creatures from the module. 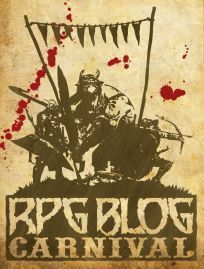 This post could be used in tandem with Part 5 for running the module in 5E! NOTE: This does not include the optional new monsters I added to the adventure. Those can be found here. This is meant as an index for pre-existing monsters converted over. There is much more to the Barrier Peaks than a romp against alien monsters. The mechanics and workings of the downed ship are far more complex. Access cards, radioactive hallways, infested hives, among other things await our heroes as they make an… Expedition to Barrier Peaks! Author’s Note: This is probably the longest post in this series. It’s a bunch of notes on running the module itself, as well as the technological artifacts you’ll find. The cards are in the first part, as they don’t really have much mechanical depth aside from a McGuffin. Much of the art of conversion can be much more simple than one thinks. Minimalism is something I’ve been meaning to toy with, as well as looking at my previously available options. With that, here’s a list of existing monsters to modify for the adventure as well as creatures that already exist in some capacity. Enjoy! Beyond machines and flora, countless species of fauna populate the strange wreckage. Whether they’re organic forms from realms unknown or mutated experiments gone horribly wrong, their alien nature and ferocious abilities make them formidable foes to fight off. Author’s Note: Beyond some easy to convert monsters using the monster manual, here’s a helping of monsters and beasts that roam the downed ship. Some of these were pretty easy to tackle, considering many of them had been ported over to other systems (beyond the Next playtest) such as Pathfinder. Stay tuned for my take on pre existing monsters as well as adding new monsters to the ship! We continue our conversion, this time with plant-based life forms and related creatures. Included is one of my favorite monsters, the vegepygmy. Sure, their name is weird, a bit too cutesy and possibly a tad racist; but I’ve always liked the ever strange mold men. Not to mention, their thorny companions were always fun too. With that, I give you more monsters from the Barrier Peaks. Author’s Note: I’m still chugging away at the monsters from this module. Don’t worry, after this post, I’m over half way completed! After that, I’ll tackle some room specific bits as well as treasure. Stay tuned! To kick off the August 2016 RPG Blog Carnival theme of “Super-Science and Sorcery”, I thought I’d show a part of a conversion I’m working on. This module has always been a special one for me. Not only was it a crazy fun house dungeon crawl, but it’s a bizarre crossover of D&D elements with the likes of Gamma World and Metamorphosis Alpha. Plus, I’ve always loved conspiracies revolving around Ancient Aliens. With that, I’ll be hoping to transfer Barrier Peaks to 5th Edition to the best of my abilities. After it’s complete, it might go up on the DM’s Guild. To kick things off, we’ll start the conversion with an assortment of robots and androids. Now, you may be wondering, what do robots have to do with D&D? I’m not entirely sure, as I’m running on coffee and sheer determination. Granted, that hasn’t stopped me from finding a way! Needless to say, the rest of the module is being converted in chunks, to be collected in a megapost in the end. Author’s Note: You read that correctly! More or less, I’m going to be dumping some time into converting this module. It’s very likely that this will take up a chunk of the month, itself. Luckily, the Playtest made work a lot easier on me. I’ve found help from other bloggers as well, thus making the journey a non-arduous one. Plus, I’ve made a helping of techno goodies in the past too.